From sold out tours, festival spots and support slots for rock royalty to crazy club nights, film roles and fashion shows, The Cuban Brothers’ unparalleled act is ingrained in pop culture. Two decades since their inception, Miguel and his suspect sidekicks are renowned the world over for their party starting skills, risqué sketches, B-boy moves and funk fuelled music. 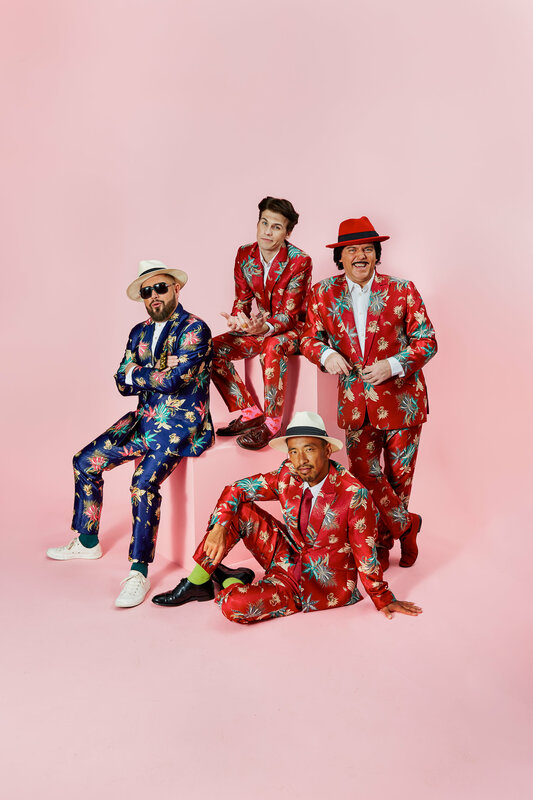 Everywhere from the Far East to South America, from Brisbane to Bahrain, from the Gumball rally to the F1 circuit has fallen for the Hawaiian suit sporting crew and their outrageous, X-rated antics. North Berwick, are you ready for this?